Jacek - As a psychiatrist, I often see children of anxious parents that are anxious. So, I wanted to understand how does anxiety - how is fear - passed from parents to children? For that reason, we trained female rats to be scared of a smell. In our experiment we use a peppermint smell. So, when the female rats were sniffing the smell, we gave them very mild electric shocks to produce fearful responses in these rats. Then we matched them with males, and when they get pregnant and delivered their babies, we re-exposed them to the smell in the presence of their newborn pups. We observed that the pups later expressed fear and avoidance of the smell. It was dependent on the mother expressing fear to the smell in their presence. Chris - How do you know that the mother was actually frightened of the smell? Jacek - So, rodents are usually very mobile; they move a lot. When they are scared, they freeze. They don't move. Chris - When you then tested the pups, was that in the same way? You just presented this smell to them and then you saw them freezing as well. Jacek - We actually did two behavioural tests. 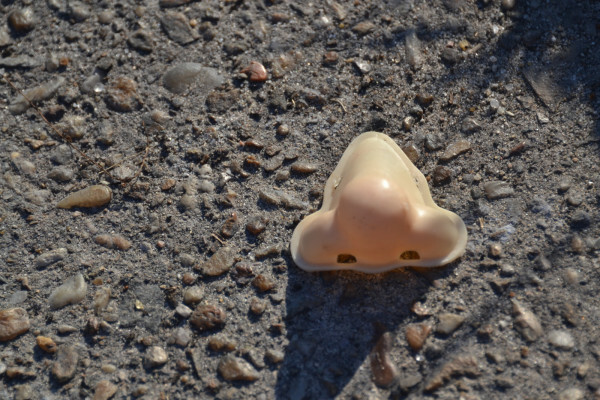 One was exposure to the smell and, indeed, we observed that exposure to the smell caused them to freeze. Another test we did is a maze that has a shape of the letter-Y: two arms. In one arm we placed the smell that was triggering maternal fear, and in the other arm we had a neutral smell. What we observed with the pups, they were avoiding the arm with the smell that was causing mother to be scared. Chris - So, how do you think that the pups are picking up on their mother's fear and then learning to be frightened of the same thing that she is? Jacek - The pups at 6, 7 days old pups cannot see and cannot hear. So, we hypothesised, the pups learn about maternal fear through smells. In one experiment, we isolated pups from the mothers and we scared the mother and at the same time, through the tubing, we pumped the air from the mother to the pups. That was enough for the pups to learn about maternal fear. We then look at the activity of the brain and we found that the sites that process smells were activated and, also, another important side of the brain that is known to be involved in detecting danger - the amygdala - was also activated. Chris - So, putting all these together, some kind of smell is given out by a frightened mother. It goes to her offspring and the presence of that scared smell plus whatever the smell is that she's experiencing at the same time tells these youngsters to themselves establish the same fear circuitry in the brain that the mother's got. So, they're frightened of the same thing in the future? Chris - But, at the moment, you don't know what the chemical is that's triggering this infectious fear response? Jacek - We don't know, but we have some hints. In earlier studies, researchers isolated a so-called "alarm pheromone". So, a substance that mice or a rat produces when it's facing any threat. Other mice or rats pick it up. We looked at the structures in the pup's brain that process alarm pheromones. We found that these structures were activated. Chris - Do you think this fear transmission effect can also happen in humans?